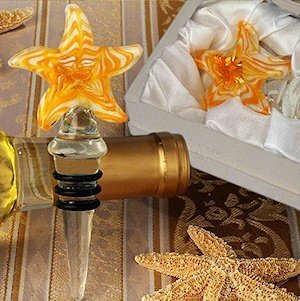 Our unique and stunning yellow and white swirl starfish design wine stopper is crafted with a handmade Murano inspired glass starfish attached to a crystal clear glass stopper base - no two are exactly alike. 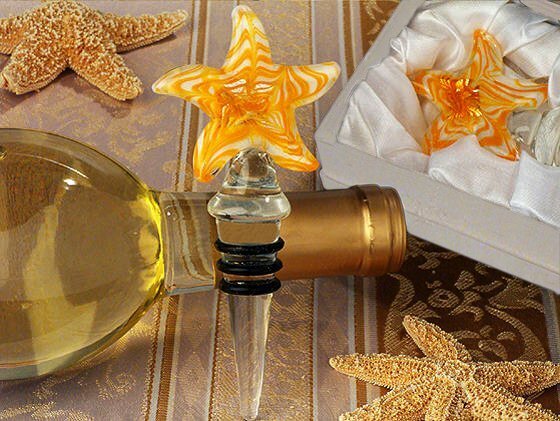 We've packaged each wine stopper in a two-piece gift box with a satin lining. Wine stopper is approximately 5" in length.